in the event of natural disasters and emergencies. utilisation of ICT in the events of disaster. is part of the nation’s initiative on disaster management. 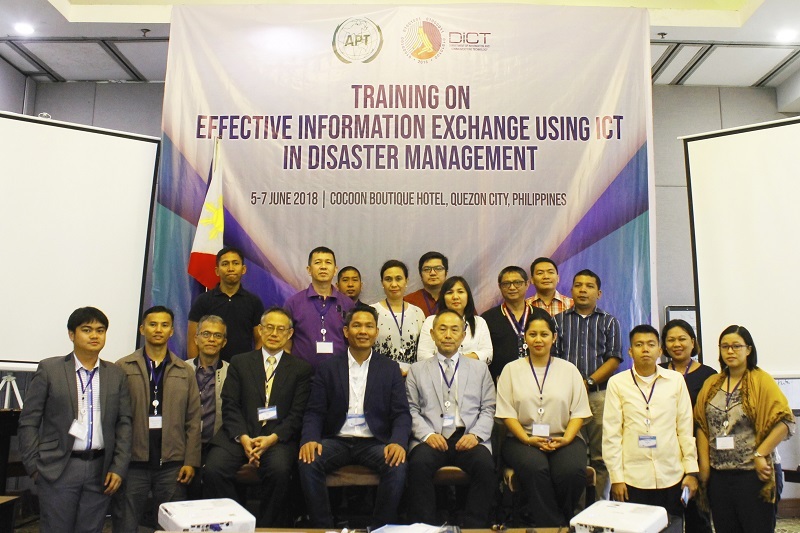 regional trainings conducted and hosted by the Asia-Pacific Telecommunity (APT). with the ICT industry key players and stakeholders. Protocols, and recognize the Role of Broadcasters in the Event of Disasters. Investigation and Coordinating Centre (CICC). and other concerned national government agencies will be there as well. information for innovation, growth and national development. cooperation on intelligence regarding cybersecurity matters. Radio Co., Ltd. (JRC) Manager Mr Seiji Ida and NHK International, Inc.
Senior Producer Mr Haruo Saito are also invited to speak during the event.